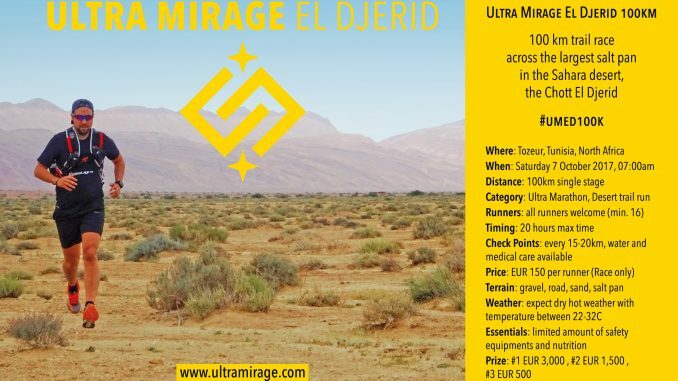 We are currently organizing « Ultra Mirage el Djerid » the first 100km//20 hours canyons & Salt Pan Ultra Trail Run in the Tunisian desert. This international extreme sport event has already reached more than 50 registered international ultra runners, which is great for a new born event in our region. The Race is backed by : International Association of Ultra Runners, Tunisian Athletics Federation, Association Tunisienne d’Ultra Marathon.